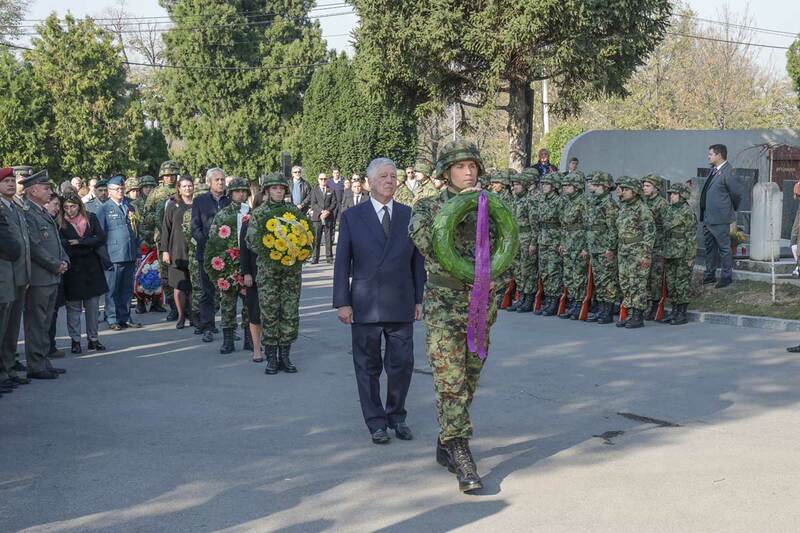 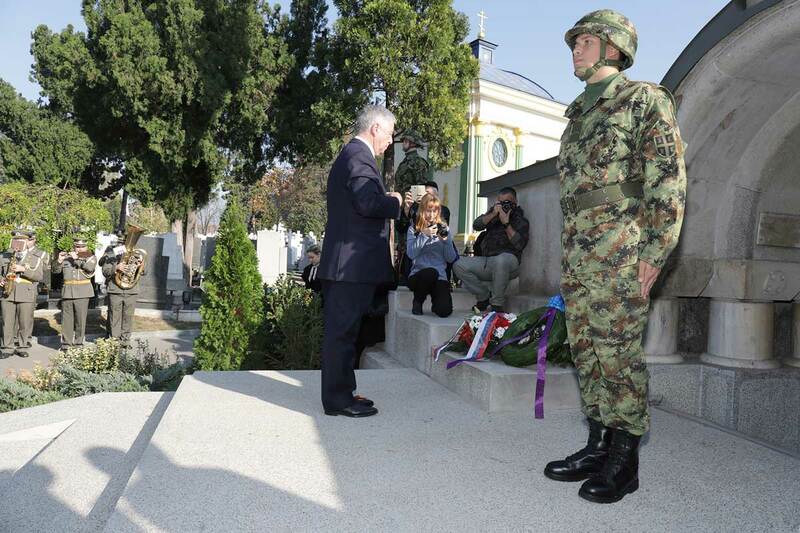 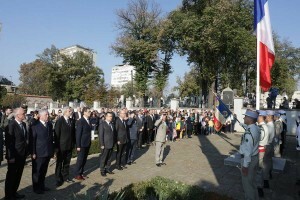 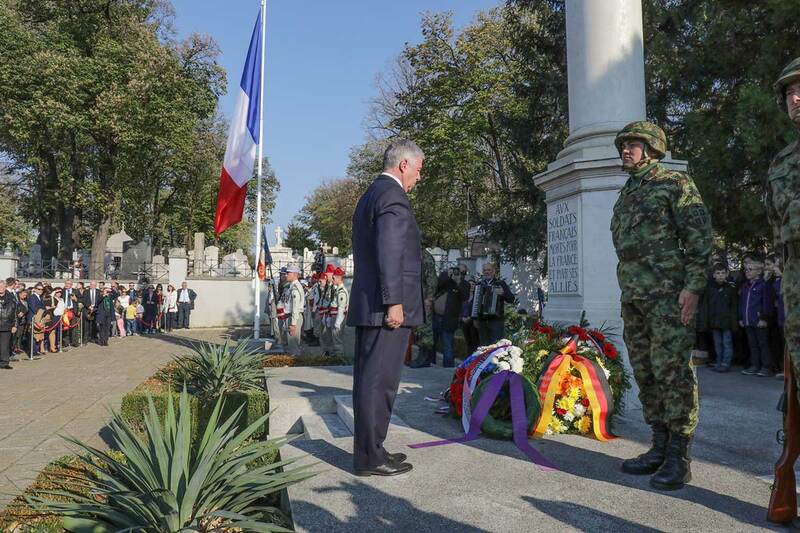 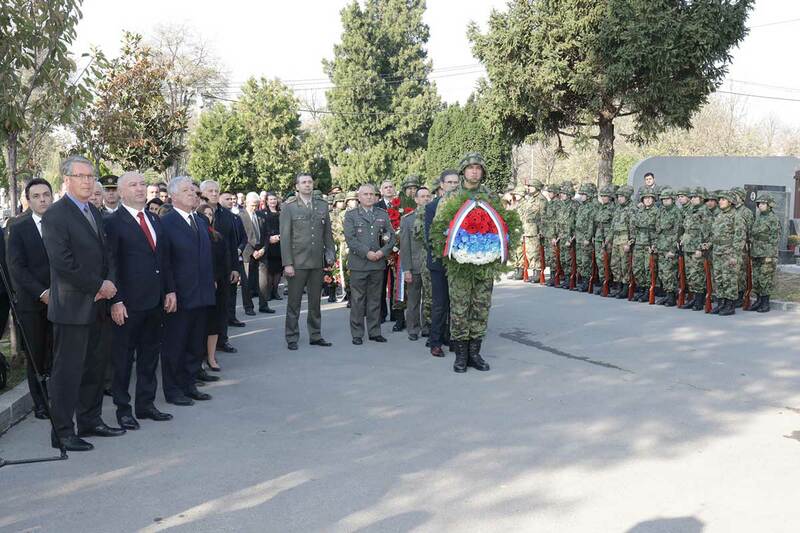 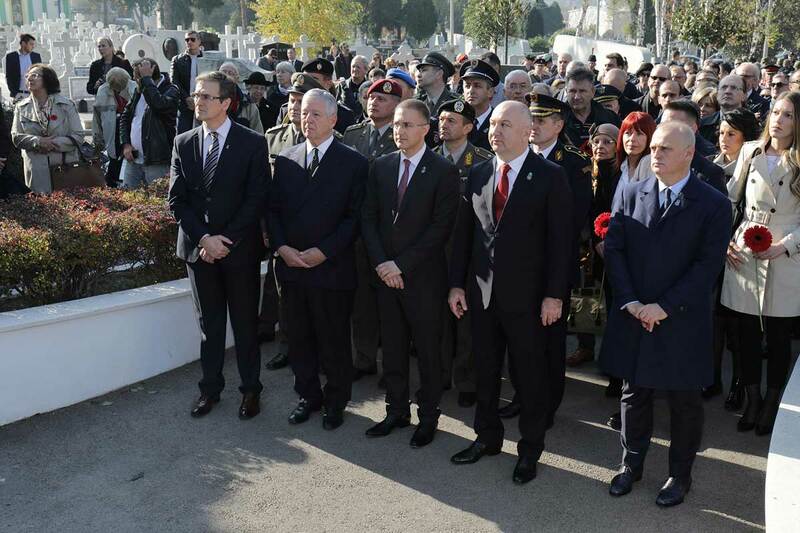 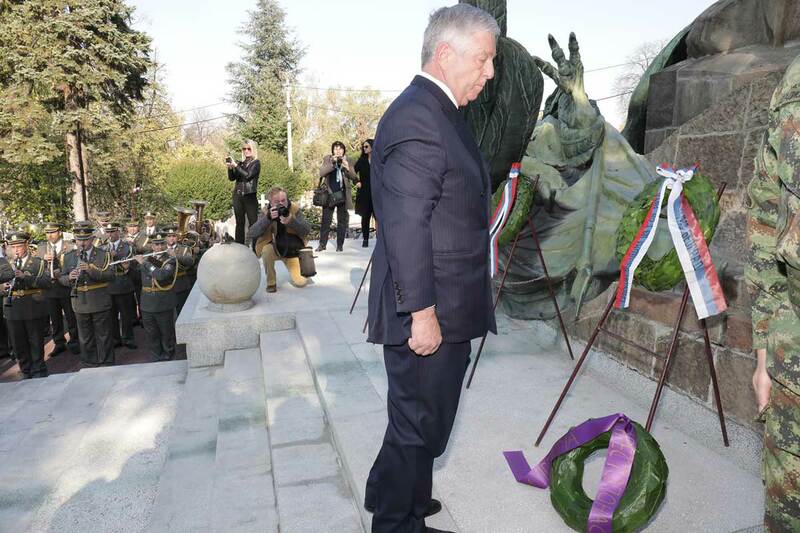 His Royal Highness Crown Prince Alexander attended today the Armistice Day State Ceremony at the Serbian Military Cemetery, the Commonwealth War Cemetery, the Russian Military Cemetery and the French Military Cemetery, where he laid wreaths together with other dignitaries. The Armistice Day, National Holiday in Serbia, commemorates the date when, on 11 November 1918, the Allied forces signed an armistice with Germany and thus ended the First World War. The Supreme Commander of the Army of the Kingdom of Serbia in then First World War was the grandfather of HRH Crown Prince Alexander, Regent Alexander Karadjordjevic, later HM King Alexander I of Yugoslavia. The Commonwealth countries, Russia and France were the Kingdom of Serbia’s allies in the First World War and significantly helped her war efforts. 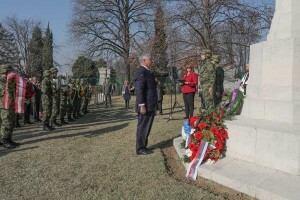 The Kingdom of Serbia lost 1,100,000 inhabitants during the war – 58% of the regular Serbian Army and an absolute majority (57%) of its overall male population perished during the conflict.